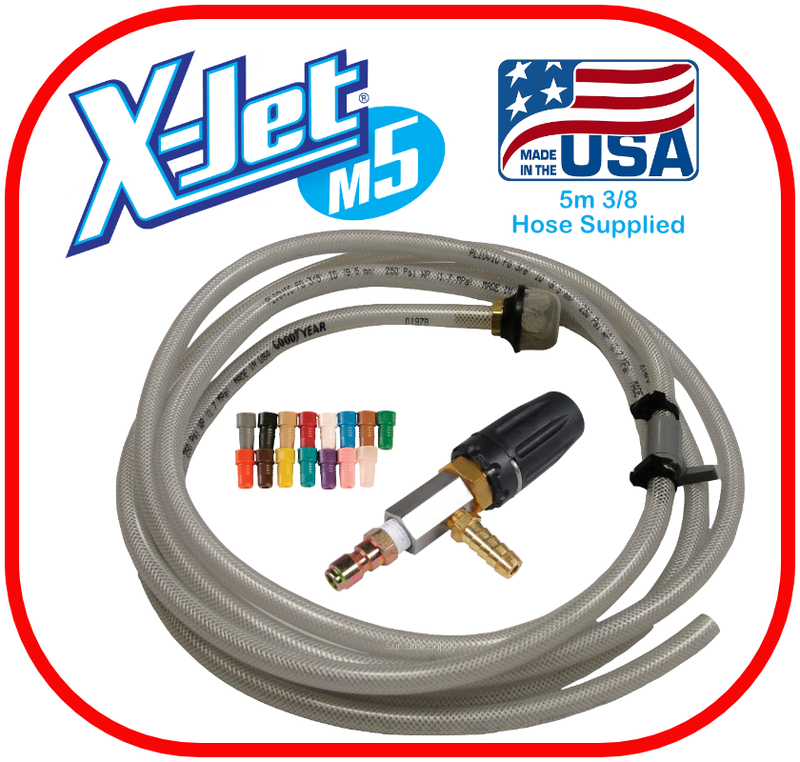 The M5 X-Jet is a flexible and compact SoftWash tool which allows the operator to apply an active SoftWashing Chemical mix at a fixed dilution ratio as part of a multi faceted cleaning process, using their existing pressure washer set-up. 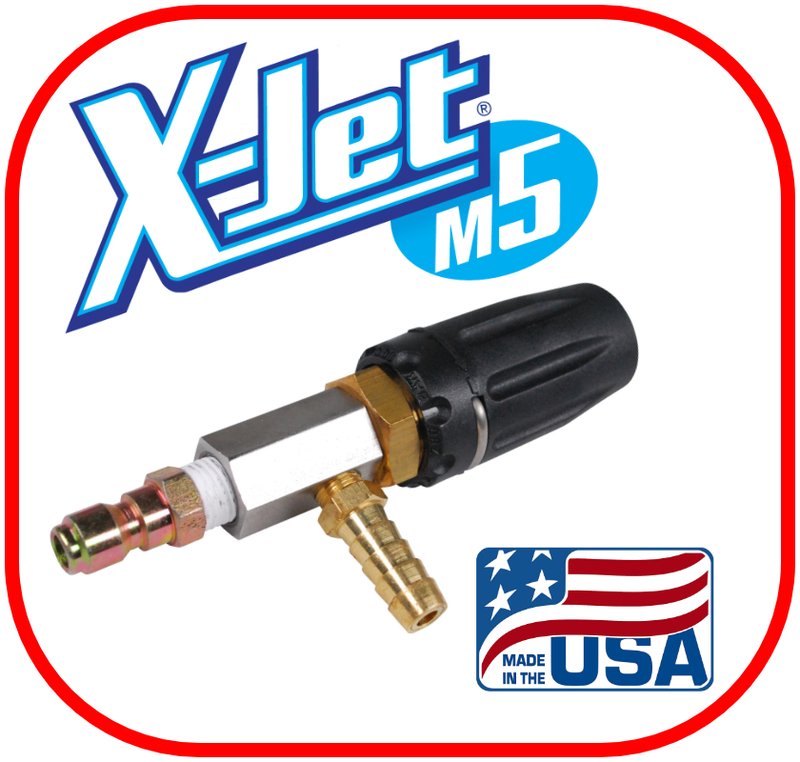 The M5 works in much the same way as the Original X-Jet, but the close-range nozzle is replaced by a built-in adjustable nozzle, drawing chemical at high or low pressure without aggressive chemicals passing through the pump, hoses, trigger or lance and therefore significantly extending the life of chemically sensitive components. This unique nozzle is capable of projecting liquids to vertical heights of up to 12m / 40 feet at the 0° setting or 2.5m / 8 feet with a fan pattern of 60° (Pumps specification depending)** with just a twist of the nozzle guard. 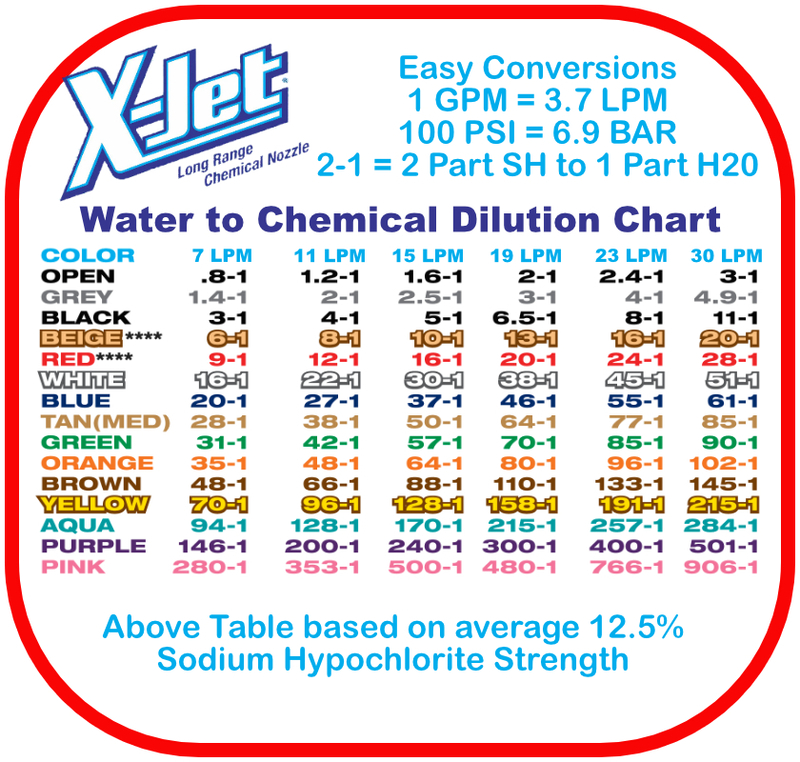 Supplied with a 15 piece proportioner set, this allows the dilution rate to be altered by simply changing the coloured plastic insert according to the mixture chart included with the kit. A chemically resistant on/off ball valve supplied with VITON seals allows the chemical supply to be turned off for long range rinsing after the application process, this also prevents back syphoning of chemical through the X-Jet once removed from the lance. We provide 5m of suction hose with a weighted suction filter and check valve to prevent leakage into your chemical supply.